No you don’t have to go to Africa to dig for diamonds, try Arkansas. The USA consistently offers us surprises. The next time you want to visit someplace you haven’t been try the Crater of Diamonds in Arkansas. You and the kids can dig for diamonds in the only open to the public diamond mine in the world. While you’re visiting this state the ‘caveman’ in the family and everyone else can enjoy staying at the Beckham Creek Cave, luxury in a cave. And if you have the need for speed there is everything from horse races to Outhouse races. These are just a few things you can do down in the Ozarks, the Capital of Folk music. If you are looking for an adventure beyond our borders try a Viking River Cruise., from the Czars of Russia to the Pharaohs of Egypt, river cruises get you up close and personal to the ancient wonders of yesterday and the excitement of today’s modern cities. Expanding your horizons can take many forms, try a culinary adventure. Restaurant weeks are popping up all over. Treat your taste buds to exceptional food at reasonable prices. Travel is medicine for the heart, soul and mind. How many times do we find ourselves saying that? There is so much to do in the Washington DC metropolitan area, its actually somewhat amazing. As a transplanted New Yorker I have to admit its not like the Big Apple yet there are many options. If you don’t mind driving or drive and metro into DC you could spend a day every weekend for months without repeating anything. From art to history to music and more the capital and its suburbs probably has more than most realize. You could start your day at the Spy Museum grab some lunch and stroll around the Smithsonian Castle, have a nice dinner at Ebbitts or La Tosca then go to a show at the Ford’s Theatre. If you don’t want to leave Virginia, try the Patriot Center, Amy Grant will be playing there in August. 1) Avoid holidays and Cherry Blossom season if you don’t like crowds. 2) The Metro will get you around fairly well and there are a couple of circular route buses that are inexpensive and easy to use. Driving into Washington can be frustrating and confusing, the traffic circles get the best of us. 3) Except for Georgetown the city is usually closed by about 6pm. Although after dark can be good for visiting some of the monuments. Take time to explore the world around you, fun is right around the corner. If you do want to visit New York, keep in mind there is more to the city than Manhattan. Take a trip to Brooklyn and check out the wonderful places to shop and eat. Per Leisure & Travel magazine, Atlantic Ave is a new hotspot and less than a mile from there is Bark, hot dogs with a gourmet touch, on the New York Magazine Thrilllist. Travel is medicine for the heart, mind and soul. That’s the predicted weather for Anchorage AK this weekend. So if you have stayed away from this magnificent state because you expected to wear your parka and ski mask, think again. When I flew into Alaska my first sight was the clouds circling the mountains like servants bowing to a king. Breathtaking is an understatement. For those of us on the east coast Alaska is a new world full of wonders. Not only the landscape and wildlife but the people as well. Whether you cruise the Inner Passage, fly over Mt. 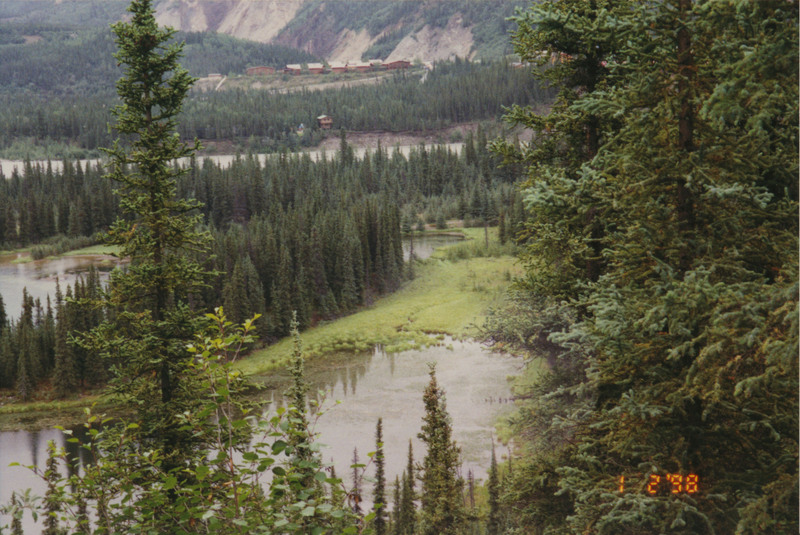 Mckinley or wander through what I consider the garden of eden of the north Denali National Park you will find yourself drawn to the beauty, mystery and history of our young state. 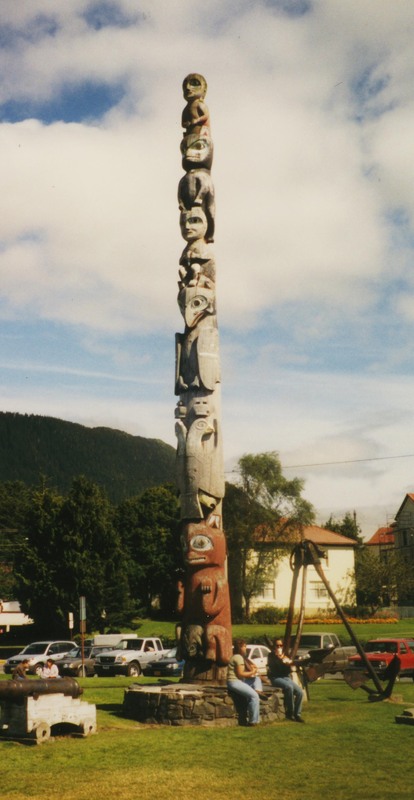 I was fortunate enough to meet a woman who had grown up in southwest Alaska. She shared with me her childhood as the modern world invaded their poor but simple and satisfying life. She vividly described the mud dwelling, lined with sealskin to keep the occupants dry. Can you imagine Americans in the 20th century truly living off the land and sea, telling tales that had been handed down for centuries. There is much to see and learn in this magnificent state. 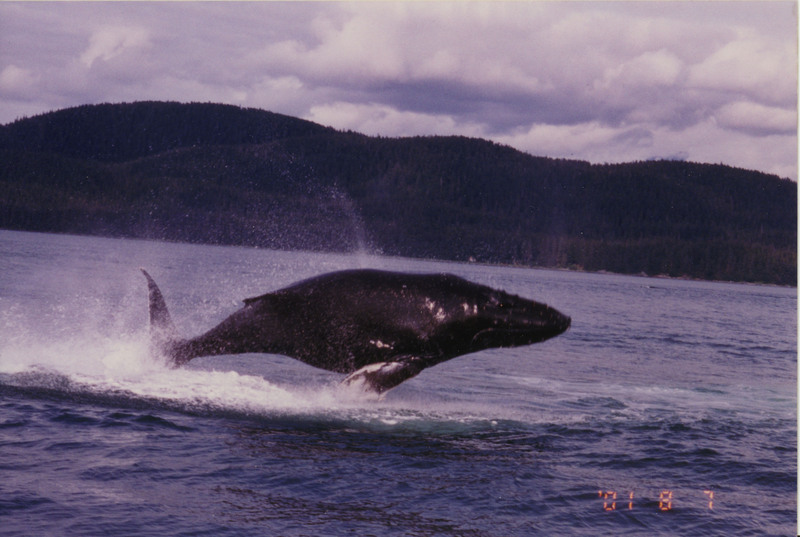 Most of us who visit Alaska want to see wildlife, a bit of advice on that topic. First, get up VERY early, the wildlife does. Second the best sightings are in early spring and fall. So if you absolutely must see a moose, consider visiting when its getting chilly, October isn’t bad. Moose do tend to hang around Anchorage, which is one of the most urban spots in Alaska. Want to see the northern lights, now we’re talking cold. Best time to see the northern lights, aurora borealis is winter time, get your parkas and mukluks. 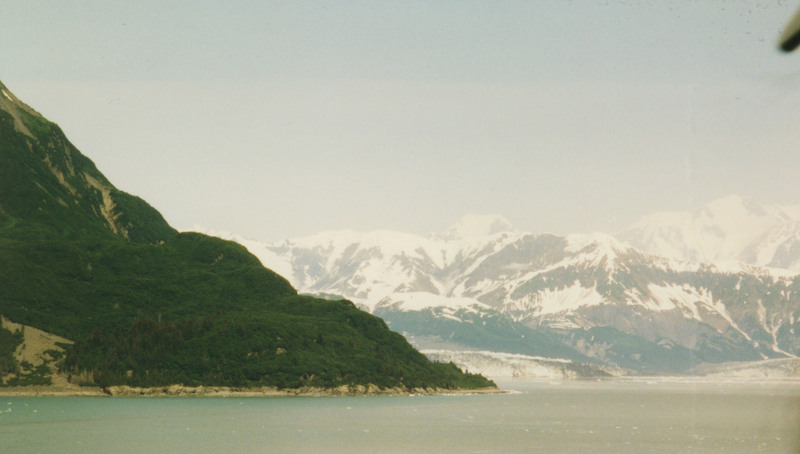 Interesting trivia: There is approximately 1 person per square mile in Alaska. In Virginia (2000 census) 178 people per square mile. So many choices, so little..
You expect to see the word time. Time is our most irreplaceable resource and we should make the most of it and that includes time to travel. Do it to better yourself and the world. Every time you meet someone new you change the world and make it just a bit smaller. Back to choices, there are almost infinite choices of where to go and what to do. So let’s start at the beginning, at least alphabetically, Alabama. It’s only about 12 1/2 hours drive time and you can stop in Charlotte NC and Atlanta GA along the way. From tribal history, love stories included to George Washington and of course The Road to Freedom Alabama has more to offer than many realize. If its nature you seek you can choose between the mountains and the beach, or for the urban leaning traveler Montgomery and Birmingham are major cities more than worth a day or two. If you are a Star Wars fan then Space Camp should be on your to do list. This summer you have the amazing opportunity to experience Star Wars in a way that will send you soaring. Whether you want to study the more than 80 costumes and props or take ‘Millennium Falcon‘ Ride you are bound to have fun. but the special exhibits will be over on September 6, so plan now. This is a great vacation adults and kids. Let’s not forget the rest of the world when it comes to travel. If you want to escape the heat in August try New Zealand. You can find the 5 star hotels but if you are a backpacker then this is also a great place for you. You can fly to Queenstown, a great skiing spot for less than $1500 roundtrip and there is lodging for as little as $26 New Zealand a day which translates to $18 US. In today’s economy that is a bargain hard to turn down. Of course there is always something happening in the Washington DC area. Unique Travel Events hopes you will explore the world and its wonders, whether you are the do-it-yourself type or want our services to create the perfect Getaway, Date Night or full vacation, from cruises to safaris.